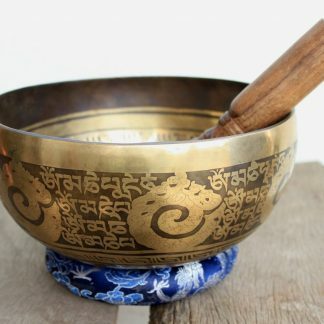 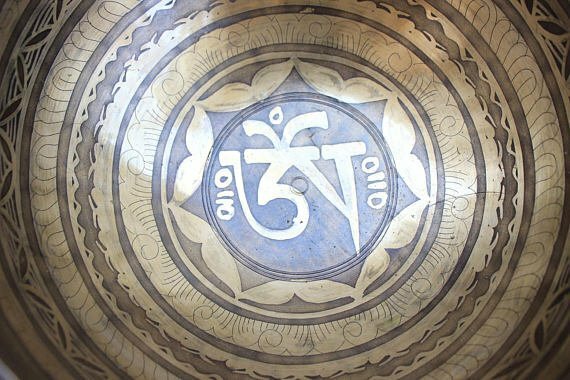 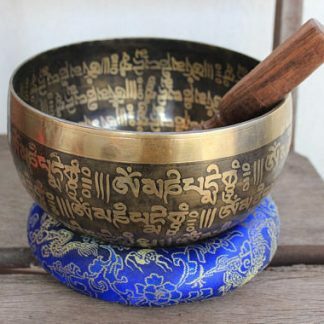 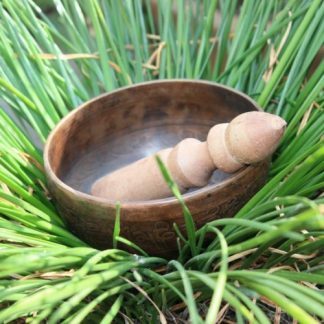 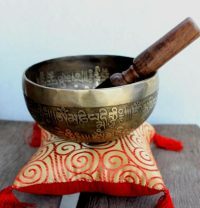 Om Tibetan Bowl – Chakra Note C.
Om Tibetan Bowl is used worldwide for meditation, music, relaxation, and personal well-being. 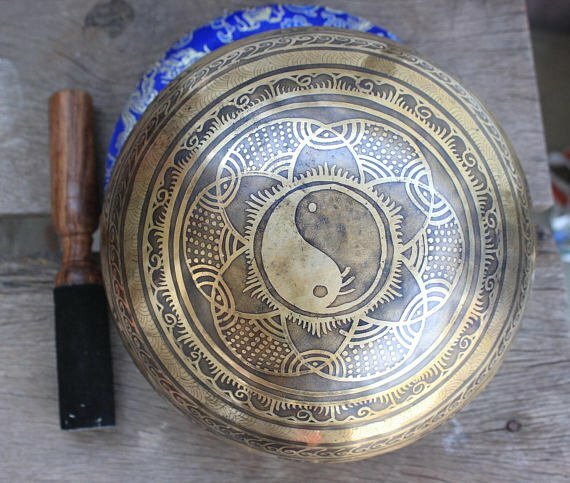 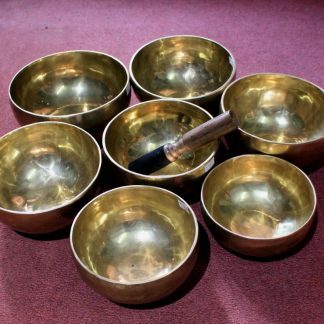 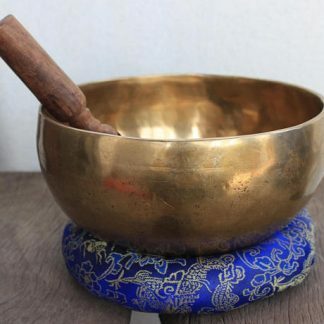 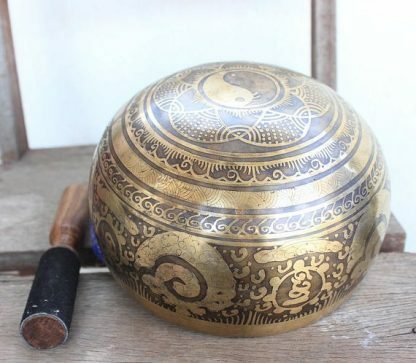 Singing bowls were historically made in Asia, especially in Nepal. 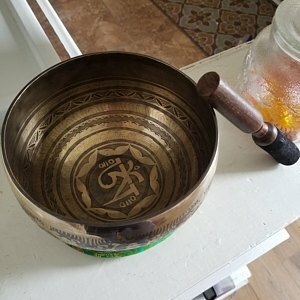 Technical Descriptions Of Om Tibetan bowl. 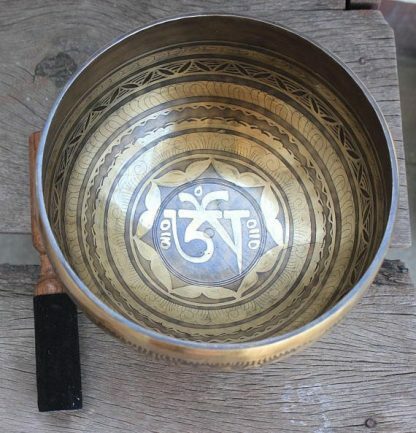 Big Tibetan Om is carved at the center, Other Tibetan designs are carved through out the bowl. 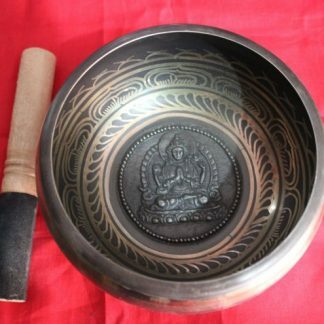 Sacred Buddha eye is carved at the bottom of the bowl.